NABARD is to conduct the Prelims examination for Development assistant this month. Before the exam, if you follow the NABARD Development Assistant Preparation Tips, they can help you perform better in exam. 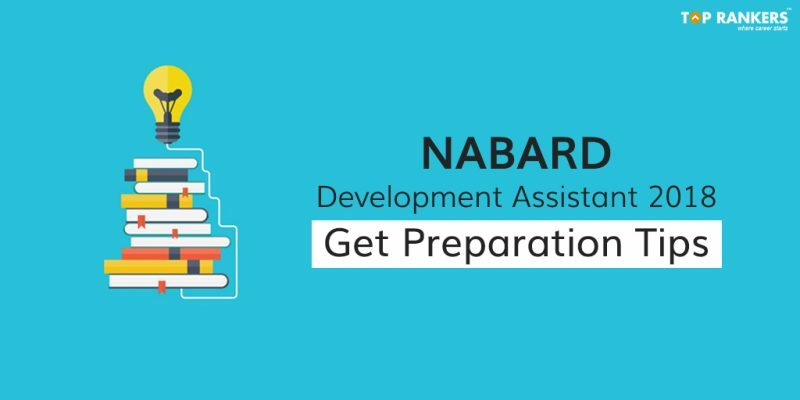 With only a week’s time remaining, you must have a look at some NABARD Development Assistant Preparation Tips that can complete your preparation. NABARD Development Assistant Phase – I Prelims exam is to take place on 29th of September 2018. We are sure, you are almost done preparing your syllabus. But at the same time, you must go through some exam tips that can help you analyze your preparation. This article also contains the Dos and Don’ts that you should follow before or during the exam. Read along to know more. It is important to ensure that you are well-prepared for the exam. Hence go through the Preparation tips for NABARD Development Assistant Prelims Exam. The Prelims exam consists of tests for English language, Reasoning and Numerical ability. First of all, mark all the important topics of these sections and and start revising these topics thoroughly. Take short notes and make formula sheets, shortcut lists to remember and ready for last minute quick access. More importantly, go through the syllabus of Prelims exam again to ensure that you haven’t left out any topic. Mock Tests are the best way to analyze your preparation. The more you get closer to the exam date, the more you should attempt for mock tests. These time bound tests help you to analyze both your speed as well as accuracy in preparation. Especially for tests of reasoning and aptitude, mock tests are very crucial. With the mock tests and revision, you can estimate your weak points where you are lagging, and also the speed factor, that you need to work upon. Similarly, start planning out ways to overcome your lags. Revision is another aspect of preparation. Revision helps you to recollect what you have read and keep all your studies fresh. Let the timer run beside you and emphasize more on practicing questions on numerical and reasoning. You can refer to previous years question papers to practice more. The paper of English test is subjected to strong base in grammar and vocabulary. Newspapers keep you aware of the latest topics and also teach you new words. Keep note of the words with meanings. Therefore, you are ready for the comprehension section as well as vocabulary based section. Look for latest topics and try collecting more information about them. Consequently, you will be ready to write for such topics if asked for. Above all, candidates should keep in mind that they need to stay healthy before the final exam. Many a times, students get so tensed and do excess effort, that lead to panic. Never do this to yourself before exam. Keep patience and try to give your best effort. Your hard work will obviously pay back. Also, remember to go through the guidelines of the exam and the pattern. Get all necessary documents and print outs of hall tickets ready.